In this article, you will learn how to make scented handmade candles using essential oils and other natural ingredients. Making candles at home is easy when you follow our step-by-step candle-making guide. You can make these candles to sell or simply to make your home smell amazing year-round. Do artificially scented candles give you headaches? Are you searching for a natural and healthy option for making homemade, scented candles? Is it Difficult to Create Handmade Candles? Essential oils are a great natural way to scent your home or office with soft scents that won’t trouble those who cannot tolerate strong scents like chemical based candles. Another great reason to make your own candles at home is to avoid paraffin. How healthy can it be to breathe in the smoke from burned paraffin? Paraffin, for those who may not be aware, is mineral oil that has been highly refined from petroleum. So, if you’re trying to avoid having your family breathe in petrochemicals, then making your own candles is a great direction to go in. What other chemical based additives could be off-gassing from your artificially scented candles? Handmade candles will ensure that you know exactly what you are breathing in, therefore you can enjoy the relaxing scents and flickering flame without reserve. The truth is that candles only require a few, simple ingredients to make. They’re such a fun gift idea for the holidays that it is definitely worth spending the time to make your own candles for yourself and gifts that your friends and family will love. Use our recipes with the best essential oils for candles to create different scents for your home based on the season or just what your mood desires. You’re going to love making your own, homemade scented candles that smell just like your favorite essential oil blends. Step 1: Place a large pot of water on the stove and bring to a boil. Step 3: Prepare wicks by measuring against the various receptacles that you plan to pour the candles into, such as mason jars and candle tins. Snip to the correct length leaving enough to wrap as pictured below. Step 5: For each candle that you plan to pour, stretch a length of wick down the center and wrap the wick around a pencil or other such instrument. 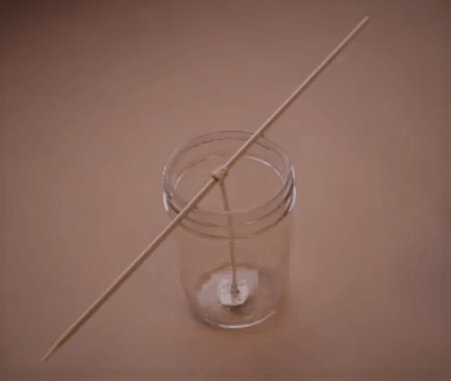 Place the pencil across the jar’s opening so that the wick dangles from the pencil at just the correct length. Pour the wax around the dangling wick, to the top of the jar or container. Step 6: Allow candles to cool until wax hardens. Step 7: Snip wicks to about half an inch. Test one by lighting. Enjoy the delightful holiday scent of your new, homemade, aromatherapy candle! Color may vary depending on what the bees were pollinating at the time. As you know, there are darker and lighter honeys. Beeswax is no different. Beeswax candles that you purchase pre-made may contain hardeners. If you want the purest beeswax candles possible, purchase your own to make from scratch. A candle wick’s main function is to draw the wax up toward the flame so that it continually burns. A wick works because it is made of braided natural fibers that burn easily. How well a candle burns is related to the wick’s thickness as relative to the size of the candle/amount of wax being burned. A wick that’s too thick can create a candle that sputters and flickers and eventually burns out. A wick that’s too thin produces a weak flame which is unable to stay lit for long. Candle makers carefully select wick size and length depending on the type and size of candle that they are creating. A good candle that contains the proper wick will burn long and steady without sputtering or petering out! A candle wick can be too long or too short. Be sure to keep your candle wicks trimmed to a proper height for best and longest lasting burn time. Another key item in your list of candle-making supplies is containers. Obviously, you can’t burn beeswax in a plastic container that will melt. Wood or paper would be a big no-no for obvious reasons as well. You can also pour your pillar candles into a form that will later be removed so that the candle stands on its own or can be set in a holder or dish. 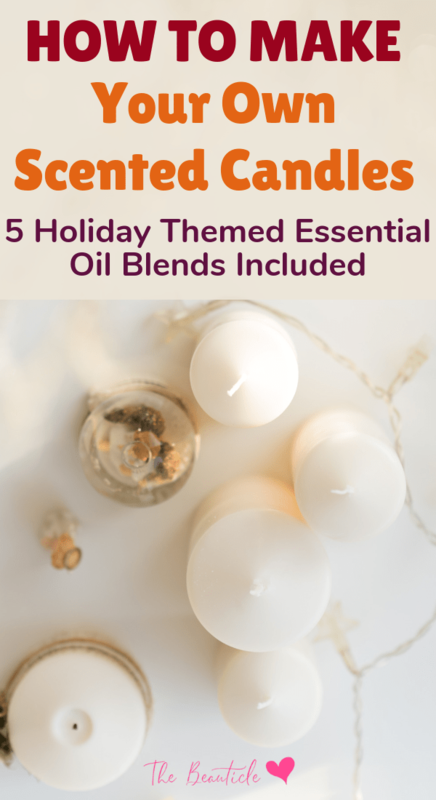 Try these holiday-themed essential oil blends in your handmade scented candles. 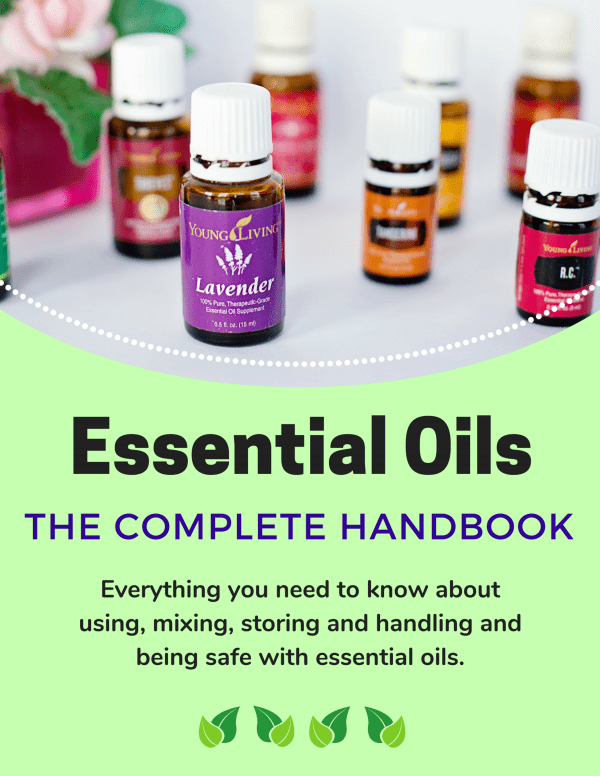 Learn how to blend essential oils here for more essential oil recipes. If you plan to use these candles to decorate your home for the holidays, or give as holiday gifts, then you may wish to add embellishments. Here are some easy ways to add a bit of holiday decorating style. Add ribbon. Burlap ribbon wrapped around candle tins and mason jars create a rustic look. Red and green plaid gives a country Christmas feel. Velvet bows in a deep scarlet hue make for a rich presentation. Paint your votives. Use red, white, green, brown, and black acrylic paint to add holiday pinecones, red painted ribbons, berries, holly and pine bows to your collection of Christmas candles. Stencils like these are great for those who are not experts. Homemade candle gifts are quick, easy and fun to make. You can try this project with your children while supervising use of the stove of course. This type of natural, homemade gift from the heart makes a perfect holiday present for family, friends, and even school teachers, sitters, child care providers and bus drivers. Whatever you do, be sure to have fun and relax while doing your homemade, candle making project. With any luck, you’ll soon be a pro at this. Be sure to consult with an expert/your physician before using essential oils with children less than 4 years of age. If you are especially susceptible to allergies or sensitivities, you may wish to test your essential oils on a small patch of skin such as your wrist, to determine if they will be well tolerated. If you find the scent of a certain oil to be overwhelming when used in a room diffuser, you can either use fewer drops, or use only in combination with a calming or grounding oil such as lavender. Some essential oils may prove too overpowering for extremely sensitive individuals — in which case, discontinue use. 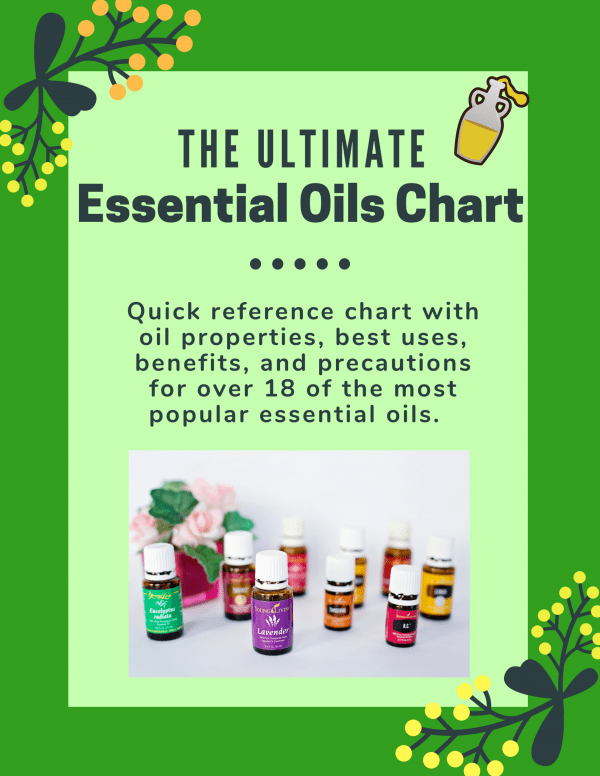 Get expert information about the most popular essential oils, their use and safety precautions in our Essential Oils Uses Chart.